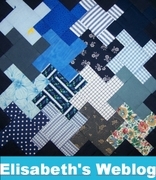 I have created all of my quilt patterns to be used as a FREE resource to other quilters. I am not selling them and explicitly prohibit others from doing so. That being said, all you wonderful quilters please use them to create quilts for yourself and others. You may sell any quilts you make for a profit (no mass production). You may exhibit your quilts. I would love it if you can use the patterns as a resource to help others, gifts for others who are sick or in need, our military, charities and fundraisers of any kind. You may use the patterns to teach classes as long as you provide the patterns free of charge to your students. 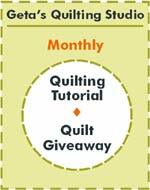 Quilt store owners – You are free to reproduce any of the patterns and provide them free of charge to your customers. If you can email me photos of any projects your customers complete using these patterns, I would deeply appreciate it. Please respect the work I have done in creating these patterns. Make sure the patterns are not altered in any way and that proper credit is given if you are reproducing and sharing the patterns with others. If you are sharing my patterns over the web, do so by providing a link to https://carterquilter.wordpress.com.